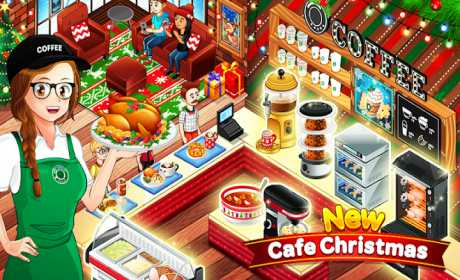 Manage your own Coffee Shop and join in the cooking game fever. 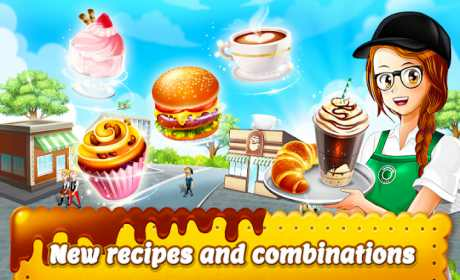 Create a new recipes, travel through different countries and become a world-famous chef. More than 200 levels, 100 recipes and 50 customers to complete and new seasons every month!. Each level is a challenge for your mind, the number of customers and orders will grow and you will have to attend as quickly as possible. What are you waiting for to invest your money and open another Cafe in Japan, France, Brazil, Russia or England. New recipes and decorations await for you in each country. Acquire new machines for your Coffee Shop, upgrade them and give them maintenance. Ovens, Blenders, Grills and Woks! Learn new recipes and complex combinations. Your customers will pay more for an Unicorn Frappé, Kebabs or Frozen Green Tea! Add decorations and turn your cafe into a luxurious meeting point to eat a delicious cookies or waffles! 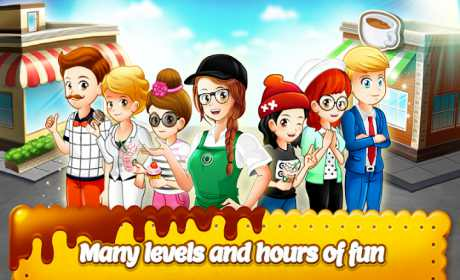 Choose between a girl or a boy to train an expert and prepare the richest coffees, Chocolate, Donuts, Lattes, Cupcakes, Pizzas and Tacos. The best starbucks simulator game.